Blending creativity with excellence, RIDDHI SIDDHI LACE HOUSE has opened the gateway to a beautiful range of Cotton Laces. Committed to create buzz in the fashion industry, we have been designing captivating Embroidered Laces, Handmade Crochet Laces and so on. 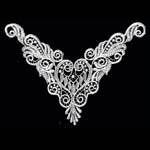 Moreover, with our strong professional links with reputed vendors of China, we offer Fashion Collar Lace and Lycra Laces. A perfect accessory to add worth to the fashion garments, the range we offer is an ideal combination of beauty and functionality. 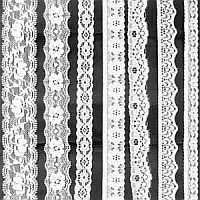 Unmatched designs of our laces make them perfect to add a scintillating look to the garments. The foundation stone of the organization was laid down in the year 2001, by the adept hands of Mr. Mahender Tomar. His sharp business acumen has assisted us in setting a strong foothold in the national and international fashion industry. Infrastructure We boast of a sound infrastructural base that is well equipped with all the essential facilities to assure the development of flawless laces. Spread over a large area, our robust infrastructural base is divided into various sections like designing, production, R & D and so on to assure smooth production. Furthermore, we have also established a fully furnished office in China in Guangzhou. Network Backed by a well-structured network, we have been spreading the business regime to all over the country. With our formidable network of dealers and distributors in India, China and many other countries, we have been successfully catering to the different demands of the clients, timely as well as efficiently. Quality Quality is the forte of the organization. We maintain the quality of the laces at every level of production, starting from the initial stage to the final delivery. To ensure the quality, we have recruited an experienced team of quality control executives, which keeps a close watch on the production process. Moreover, we conduct stringent quality tests, before dispatching laces to the clients. 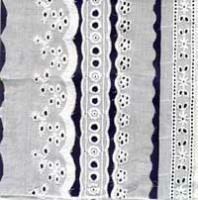 Today, we have carved a niche as one of the dominant Lycra Laces Suppliers, based in India. We are a client centric organization, thus we have channelized all our resources to offer utmost level of satisfaction to the clients. Our client-committed approach has assisted us in earning accolades from huge clientele, based in India, Dubai, Bangladesh and many other countries. Last but not the least, we always endeavor to create reliance among the esteemed clients.